The above code uses fsockopen to connect a host on a port , and if the connection is established then it returns true , indicating that the port is open. The above example uses the php socket functions socket_create and socket_connect , to connect to a host on a port. 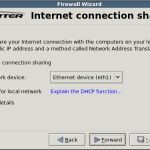 If the connection is established the socket_connect function returns true , indicating that the port is open. And what can I do with the port if it happens to be open on a remote machine?